Today's post is brought to you by Janalyn Voigt. Escape into Creative Worlds of fiction. My husband and I are about to head for Montana, where I've been invited to participate in a the Festival of the Book. I'm thrilled to be included in an author panel with Tracie Peterson and Janet Chester Bly, among other favorite authors. It's a thrilling opportunity to spend time with other writers and with readers, all celebrating our passion for books! There's already a lot of excitement in the air. 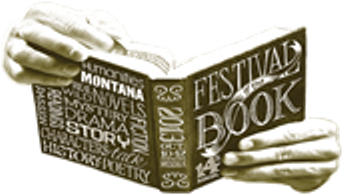 You can check out the on-the-street buzz on the Facebook page for Humanities Montana Festival of the Book. This all came about in an amazing way. 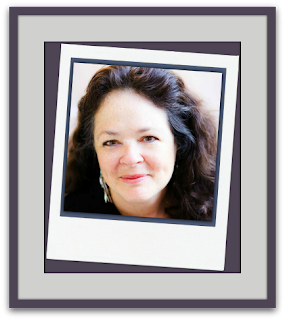 My friend, Angela Breidenbach invited me to stay with her when I visited Montana for a research trip in August. We set a date and my husband took time off work, but then circumstances prevented our going. It was disappointing, especially since going on research trips for the books I write is one of my bucket list items. We rescheduled the trip for October, and that's when Angie told me about the Festival of the Book. Had I gone on my research trip in August, I would have missed out on a golden opportunity. But the story is even more interesting. You see, my main research destination is the city of Bannack, now a ghost town protected as a state park. In July it suffered from a freak flood. Much of the town suffered water damage, old boardwalks washed away, and one building was destroyed. One woman suffered a horrible ordeal in the flood but came through it through prayer. Click here to read her account. Bannack was closed to visitors as workers restored buildings, rebuilt walkways, and even resurrected the fallen building. I wondered if the town would ever be the same until I read a post online about the loving care with which it has been restored. Bannack is now open to the public again and ready for my visit.I'm looking forward to seeing the town and grateful I didn't go on my trip at the wrong time. We'll also explore Virginia City, Nevada City, and Robber's Roost, all of which will feature in the first novel in my Montana Gold series. My agent and I haven't found a publisher for my series yet, but I believe in this story and will do my research against that possibility. I now have a professional Canon camera and will capture images on the trip. If you share my love of ghost towns, you're welcome to stop by my Historical Worlds site, where I write about my ghost town adventures and post photographs I take. 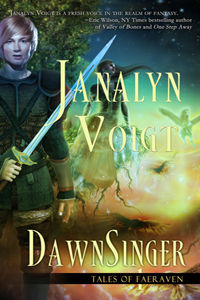 Meanwhile, I'm giving away three digital copies of my medieval epic fantasy novel, DawnSinger, at Debbie Lynn Costillo's The Sword and the Spirit blog. Entry is easy, so I hope you'll click over for a chance to win. There's also an entertaining interview (Debbie asks the best questions) in which I reveal something I kept hidden for many years. The giveaway ends soon, so don't be slow! As an author, I offer readers escape into creative worlds of fiction. DawnSinger, book one of my epic fantasy series, Tales of Faeraven, published with Pelican Books in 2012. To learn more about me and the genres I write, visit me at the author website for Janalyn Voigt. Isn't that crazy how God works things out like that and we can't see it until after? I'm so glad your trip will be so much more worth it this month. It's hard to deal with a disappointment like that, not knowing there is something so much better waiting. :) Great post and I hope you have a wonderful time! Thanks, Susan. Small things like this let me know God is there, watching over me and gently directing my course. I love that. God works in mysterious ways, doesn't He, Janalyn? Interesting post - love ghost towns! Thanks!